Moe Berg, professional baseball player, spy in the OSS, was an odd duck, the strangest man ever to play baseball, as longtime New York Yankees manager Casey Stengel once observed, all of which can be found in Nicholas Dawdioff’s book “The Catcher Was a Spy: The Mysterious Life of Moe Berg”, or at least by combing through Berg’s Wikipedia page. Ben Lewin’s film version, however, leaves you wondering how much of Dawdioff’s book both the director and screenwriter, Robert Rodat, ingested. 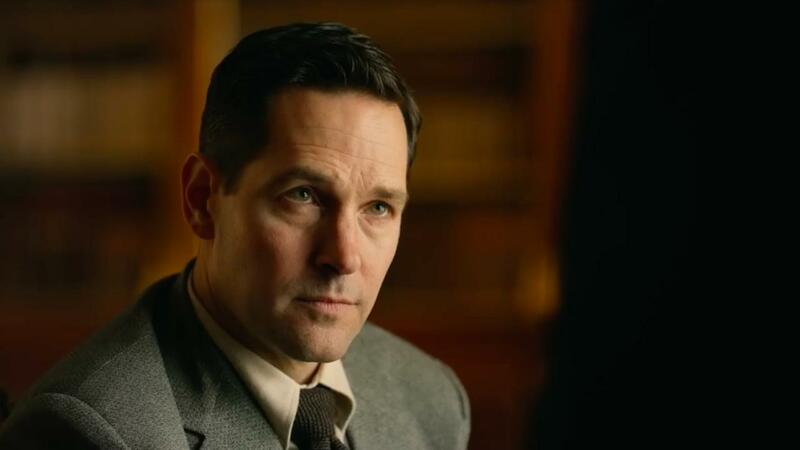 The movie Berg (Paul Rudd) is flattened out of nearly all eccentricity, leaving only the hollow shell of a bland would-be Hero. It’s as if “The Catcher Was a Spy” didn’t want us to get to know Moe Berg at all. That might have been a compelling angle since narrative impenetrability is often an effective means to underscore the vagaries of the spy game. Except that even as “The Catcher Was a Spy” renders Moe Berg as a blank picture frame, it tells its story with oddly misplaced directness. You see this straight away. The movie opens with a title card explaining that Moe Berg was tasked by the OSS to track down Werner Heisenberg, German physicist, at the height of WWII and assassinate him. The ensuing scene is Moe Berg in the midst of this task. And while the dialogue is fairly cryptic, such ambiguity is entirely counteracted by the preceding title card which has already placed us one step ahead rather than one step behind, holding our hand, parceling out information where a little narrative cloak and dagger might have aided atmosphere. 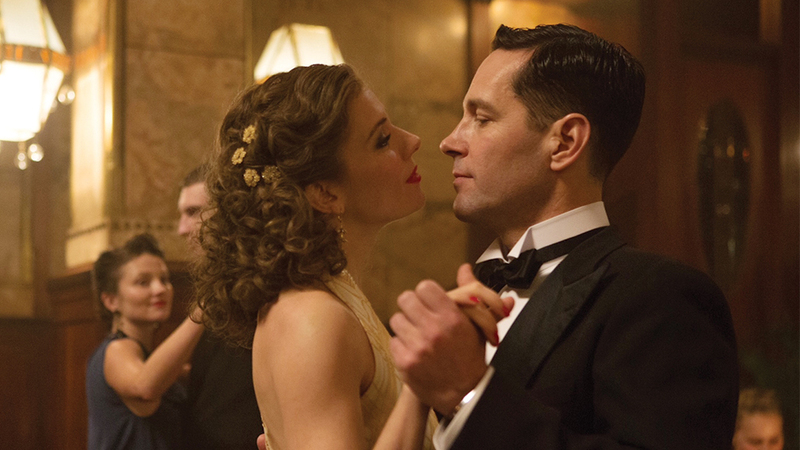 From there, “The Catcher Was a Spy” flashes back eight years to Moe Berg on the field at Fenway Park, rendered in fine period detail, as most of the movie is. Commendable production design, however, cannot make up for beginner’s exposition, a criticism as old as the hills yet no less apt, where a few Red Sox just sort of stand to the side and helpfully explain for our benefit who Berg is rather than the movie shrewdly showing us. What’s worse, if the diamond is where Berg is happiest, as we are also told, Lewin hardly revels in this fact, just as he hardly revels in the fact that Berg – as we are also expressly told – loves libraries almost as much as the diamond. These traits are relayed to us through dialogue but never visually or behaviorally reveled in, a frequent aesthetic symptom. The only real tension, as it were, relates to Berg’s sexual orientation, introduced when a Red Sox rookie, wondering whether or not his teammate is gay, follows Berg home. The rookie, however, gets beaten to a pulp when Berg realizes he is being followed, a sequence segueing directly into a pointedly lascivious scene involving Berg and his girlfriend, Estrella (Sienna Miller). Taken in tandem, these explicit moments seem to exist for no other reason than to reassure any wary audience members that the movie they are will not refrain entirely from manly pursuits. Indeed, later, when Berg goes to Japan on a barnstorming tour, he seems to have a fling with a Japanese delegate, Kawabata (Hiroyuki Sanada), another man, though, sure enough, Levin cuts directly to Berg in an empty bed the morning after, a cautious cop-out. Berg’s relationship with Estrella, while apparently pivotal since the movie keeps going back to it, is emotionally sanitized too. She, in the manner of so many Supportive Spouses, real, faux, or otherwise, is mostly just on hand to be blue as she continually realizes he will not commit. Miller has cornered the market on these sorts of roles as of late, and though she engenders less screen time here than last year’s “Lost City of Z”, she still manages to stand out. In the face of her character being told she cannot go along to Japan with Berg because they are not married, Miller, in the mere way she stands up and walks away, evinces moving, disbelieving self-actualization. Japan, where war is foreshadowed, sets up the movie’s WWII spy adventure, occupying most of the film’s second half. Alas, just as the film fails to convey any of the singularity of its otherwise singular character, so does it fail in infusing these action-adventure passages with anything that is not off the shelf, right down to the obvious recurring shots of the lurking Gestapo agent, telegraphing a theoretical twist so hard that you actively root to be proven wrong. Rudd, meanwhile, no doubt yearned to capture his character’s enigmatic nature through emotional restraint, but this actorly choice inadvertently has the opposite effect by transforming Berg into something more akin to many stone-faced All-American heroes of so many other war movies. He could be anyone in any movie. In his little screen time, Strong, as Heisenberg, leaves a more indelible mark, his glares of irritated perplexity directed at Berg conferring more inscrutability onto the baseball player turned spy than Rudd manages to convey himself. And Heisenberg’s motivations, which as a closing title card reminds us remain unknowable to this day, emerge as a more preeminent enigma, really, than Berg, which is such an incredible flaw that you wish this whole production had ripped itself up midway through and started again.